While French colonialism was at its zenith, the first quarter of the twentieth century in Senegal saw the emergence of charismatic Sufi leaders. Among them, one in particular, Cheikh Ahmadou Bamba, made a profound impact on Senegalese culture. Founder of the Murid Tariqa (Murid spiritual path) and of the holy city of Touba, he dominates contemporary imaginaries in Senegal, and the movement he founded is an economic and political force. Its cultural influence is so present that one could argue that Senegalese identity is becoming Murid. Touba is now the second largest city in Senegal, a place where millions of pilgrims gather annually. Khadim Ndiaye, himself a follower of the Murid way and author of a recent book on Cheikh Anta Diop, shows in this piece how the late scientist, politician and thinker was a product of the Murid mould. Cheikh Ibra Fall is remembered as the most devout follower of Cheikh Ahmadou Bamba. He is at the origin of the Baay Fall movement, a strand in Muridism characterised by its negligence of the cultural aspects of Islamic practices, such as fasting and the five daily prayers, and its insistence on work at the service of the marabout. From the Qur’anic School where he was taught moral rigour, Cheikh Anta went on to the French school in Diourbel. There he stayed at the concession of Cheikh Ibra Fall, the great disciple of Cheikh Ahmadou Bamba. His fellow pupils included Doudou Thiam, who became Senegal’s minister of foreign affairs, and Momar Sourang, a renowned Murid dignitary. 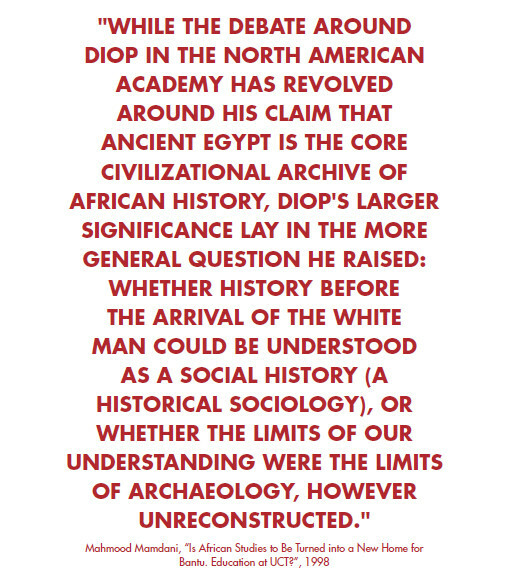 Diop was well versed in Murid literature. He knew the thought of Cheikh Ahmadou Bamba and praised its impact in Senegal and on Islamised Africans. In Nations Nègres et Culture, he pointed out that “the teaching of Ahmadou Bamba remains now, more than ever, of value on a national level.” According to him, the Murid organisation created its own holy places locally and was considered by the colonial administration as “an integration of Islam by local nationalism”. According to Pathé Diagne, Cheikh Anta Diop “had kept the essentials from a childhood deeply marked by a Murid education that professed an autonomous black Islam, with its literature and poets in Wolof.” He felt that in order to be lived in a harmonious way, religions must be reclaimed and read within a people’s own terms of reference. Otherwise, they lead to alienation that contributes in turn to what he called “the floating” of the African personality. In Nations Nègres et Culture, Cheikh Anta Diop devoted ample passages to the study of Murid religious poetry. He sketched the study through excerpts of the works of Serigne Moussa Kâ, Serigne Mor Kayré, and Serigne Mbaye Diakhaté. 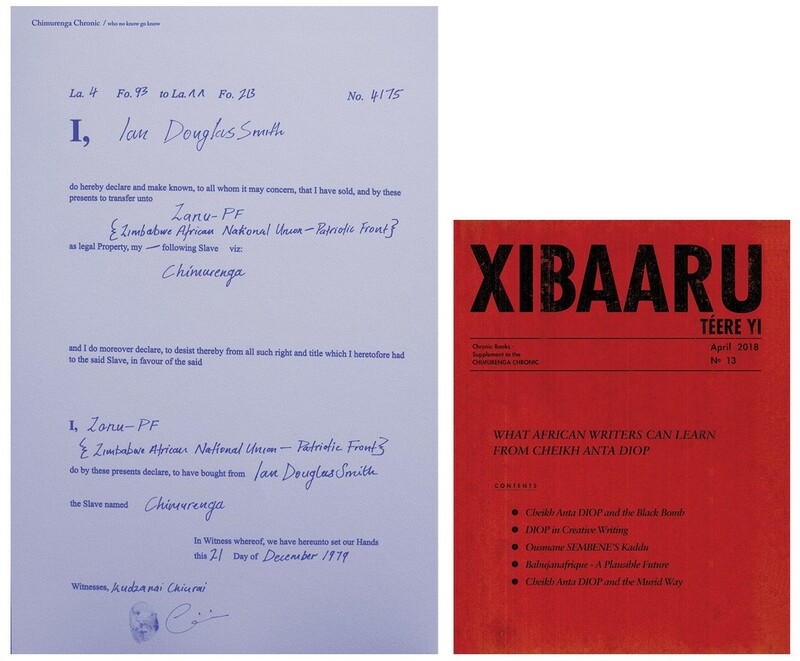 For him, their poetry constitutes “the literary foundations of our language and thus the foundations of our national culture.” Those poets, although they had a perfect mastery of Arabic, chose to write in Wolof. Serigne Moussa Kâ, one of the greatest, said that “any language will remain beautiful, as long as it enlightens minds of people and awakes in them a sense of dignity.” And added, in a defiant tone, “and we even manage to craft what the Arabs cannot”.